Judge Dredd, from 2012's Dredd. 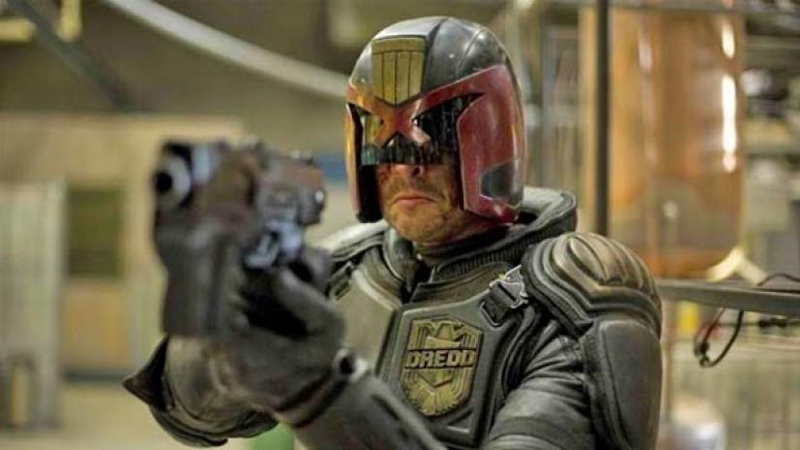 As reported by Variety, the purchase, which is meant to support both the upcoming Dredd TV series Judge Dredd: Mega-City One and the Rogue Trooper movie recently announced by Duncan Jones, was made in London, and will enable Rebellion to expand its work in TV and film. Rebellion, known largely for video games like the Sniper Elite series (which I highly recommend if you want to shoot some Nazis), has owned 2000 AD and related properties since 2000, and this move signals that more of the adaptations of those works, along with possibly other original work, will be made more directly in-house. “We have plans, we have a lot of scripts in development, we have got a lot of scripts written, we have pilots that are looking for people to work with, we have people going out to the U.S. to talk to the people who are the routes to market,” Jason Kingsley, founder of the studio alongside his brother Chris, said. Also according to the Variety report, the studio is steadily moving forward with its Judge Dredd series, with a pilot script written and talks ongoing with various platforms for distribution.